Legend of Sun and Moon has just released its first stills which come with a name change to the new and cooler-sounding Saga of Light 日月 (title's still Sun and Moon in Chinese). Shawn Dou gets to show off his sturdy physique thanks to his tattered clothing while Dilraba Dilmurat is still adorable in an outfit a lot more modest than her usual costume dramas. Let's just say that I never expected them to go for the caveman look. I neither love it nor hate it, but it seems reasonable in the context of a story that belongs in ancient legends. After all, it is about the god of archery and the goddess of the moon. 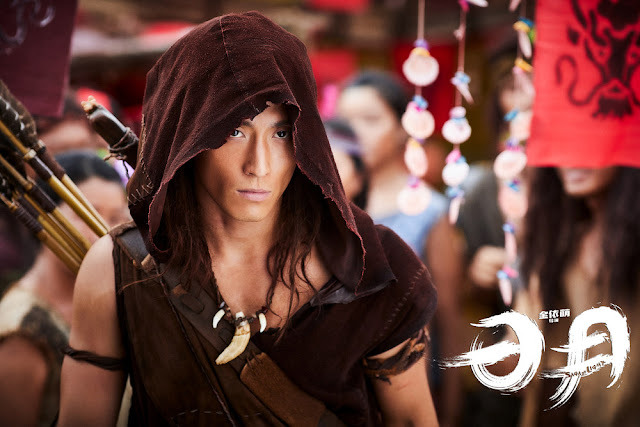 Their story would have taken place in the very distant past for Hou Yi (Shawn Dou's character) to shoot down nine of the ten suns, that is, if the movie even goes that route. Filming began end of February and wrapped in China today, June 6. Post-production might take a while for a fantasy flick like this, but it's still selling itself as heavy on romance and comedy. I'm so curious to see how that would work, because it feels like a fantasy action movie to me. 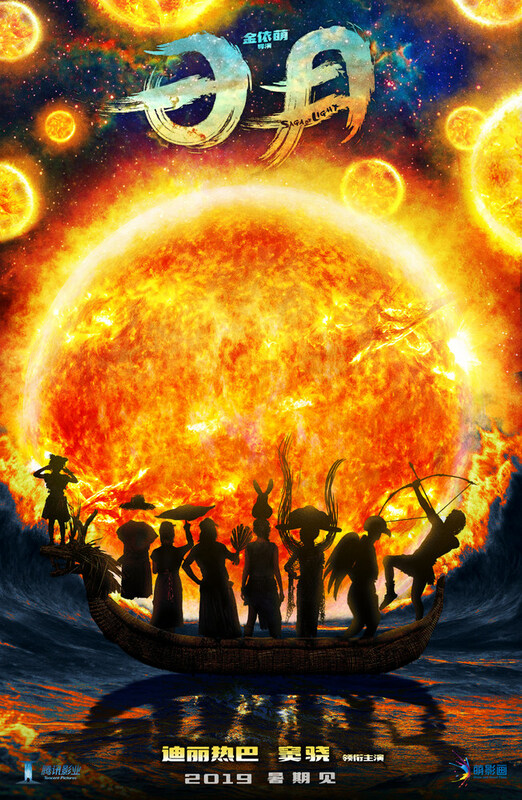 Saga of Light is expected to be released summer of 2019. Looks weird. I liked the mini story from TVB’s JTTW1. Shawn still looks nice but Dilireba's outfit is horrible. The colors and everything just doesn't fit. I also didn't expect a caveman look but at least they could have given her something better. They are the cleanest of the cleanest cave men in the world. I hope it is a comedy because it doesn't have the serious feeling. They don't look tortured by 10 suns. And manage to have pure white (if not white still clean) skin, even if they attempted to put some tiny dirt on their faces doesn't do anything at all. Those costumes look so ugly and cheap. Especially Dilireba's looks like someone just home dyed an old tank top.